Matt McAleer invites John Mousseau to join him in this week’s wrap up. John relates continued demand for bonds. How about volatility in interest rates? And what effect are taxes and returns having in muniland and for investors? Will Trump change taxes again? John weighs in on these things. Now onto Matt’s recap. Sometimes the markets act very reasonably from a trading standpoint. As mentioned 2 weeks ago, weekly momentum had reached elevated levels that normally create a pause or pullback. Saw some of that over the past 6-7 trading sessions. He talks about where he sees strength. Have a great weekend. WATCH HERE. Matt McAleer and John Mousseau will provide extended quarterly videos for our clients that will incorporate equities and fixed-income in the coming weeks. Stay tuned! You’ll want to mark your calendar for Thursday, April 11, when the University of South Florida Sarasota-Manatee joins Cumberland Advisors and the Global Interdependence Center in hosting the third annual “Financial Markets and the Economy Financial Literacy Day” event. The Outlook for the US Stock Market & Global Economic Outlook will be a feature and there will be a special report on the “Use of the Bloomberg Terminals – Two Years Later” after Cumberland Advisors and David Kotok gifted them to the University led by Paul Bova, Director of Development and/or Dr. GJ de Vreede, Dean, University of South Florida Sarasota-Manatee College of Business. We look forward to seeing what level of impact this has had on area students seeking to enhance their educations and understanding of finance and finance related tools. 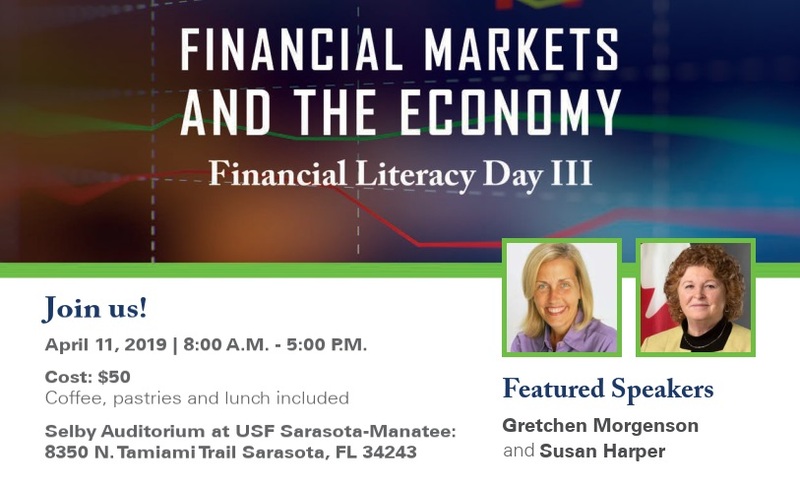 Learn More about Financial Markets and the Economy Financial Literacy Day III at USFSM. Camp Kotok – Judith Monroe from CDC Foundation & David Kotok explore Zika & the role of the foundation for the CDC, including how they help fulfill and extend the CDC’s mission and challenges. A self-described well-kept secret, the source of their funding will surprise many. Can they make the world a better place? David R. Kotok has written the monograph pamphlet, “Lessons from Thucydides” detailing information asymmetries and their implications for investors and world affairs. The concept of a Thucydides Trap and its rise and avoidability (or lack thereof) is often debated and David makes a case for dealing with them weaving current and historical events into a comprehensive narrative. Thank you for engaging with us, your comments always welcome.